So you're Ready to Buy a Home? Here's How the Process Works. It will take plenty of planning to buy a home that meets your special needs. Buying a home is a time consuming and demanding process. The services offered by a Coldwell Banker Dinsmore Associates, agent will make the whole process more stress-free and enjoyable. One of the first things you can do to prepare is to request a copy of your credit report. Carefully check it for any errors and have it corrected before you meet with a lender. If you're renting you'll need to check your lease. See when the term expires and try to match your closing date with the expiration of the lease. Otherwise, you may be subject to penalties or additional fees. It's important to look at the bigger picture when you purchase a home. Consider your long term plans. Do you plan to start a family? Is there a possibility of extended family moving in with you? Will you be working from home? The type of home and layout will depend on the answers to questions like these. Another important question is how you will qualify for financing. Are your qualifications based on two incomes? Do your long-range plans include the possibility of living on one income in order to raise a child or be a caregiver to a parent or relative? The home-buying process should be based as closely as possible on your long-range plans. It's a good idea to be pre-qualified for a loan before you look so you know exactly how much home you can afford. It is important that you understand the home-buying process. You'll have lots of questions along the way, so it's important that you choose a real estate professional who is willing to explain all the ins and outs of the home buying process. You'll need to know about the protocols for viewing homes, understand negotiation strategies and how to deal with all of the details of home inspections, financing and closing. Most important, you'll have very important decisions to make in regard agency and how you want to be represented as a buyer. Involving a Coldwell Banker Dinsmore sales professional early on is an important first step. 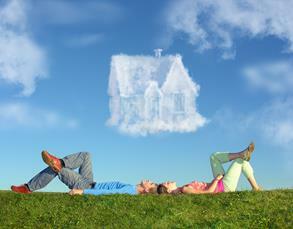 The search for a home is the most active and intense part of the buying process. This site has awesome home search tools including e-mail updates of new homes coming on the market but online tools can never match the benefits of working with a knowledgeable real estate professional. There are so many important considerations that may be overlooked without the input of a person who knows the real estate business inside and out. It's very important that you identify your priorities and expectations. Every buyer has their own set of requirements for what they want in their home. Only you know what they are and it takes a little time to make sure you understand them yourself. Here are some things to consider which will get you started. The property you buy will be much more than a house; it will be you home. The following questions can help you describe the things that are most important to you in your ideal home and neighborhood. For some people, “home” means the hub of social activity; for others it might be a place to retreat from the pressures of daily life. What does “home” mean to you? Who will be living in your household? Will you be having other family members of friends visiting for more than a few days at a time? If you will be working outside your home, what do you consider a comfortable commute (in time or distance)? Will you be working from home and do you need a special room for this. What are the most important activities for members of your household? For example, hobbies, recreation, school, entertaining, religious or cultural activities. What are one or more features you like about homes you have lived in previously? This might include: Style, floor plan, yard, view and neighborhood. What is something you disliked about the house or neighborhood where you have lived that you want to avoid in your next home? What are the most important must have features of your ideal home and neighborhood? Why are they important? When you view a property be sure to list the positives and the negatives. Bring a tape measure and be sure that your furniture will fit comfortably in the rooms and that your S.U.V. will fit comfortably in the garage. Check the orientation of the home to determine the time of the day that each room will receive sunlight. Visit the home at different times of the day to view traffic patterns and the changing streetscape and neighborhood activity. Make sure the floor plan matches the way your household routine. It's hard to do when your buying a new home but you should definitely think about resale. Will the home you're considering be difficult to sell? What are the negatives? Can you make improvements to overcome the drawbacks? Your real estate professional can point you in the right direction but you have to be the key player in investigating the property and the area where it's located. Only you know what priorities are important to you and it is always important to receive information first hand without the filter of a third person. Is the area convenient to work, schools and shopping. What about the zoning of the property and of nearby land. Can the vacant land nearby be developed? Are there airports or highways nearby that may be expanded. As a service to our customers, Coldwell Banker Dinsmore Associates has created a great resource known as i-central. You can find it right here and it has links to an incredible array of information sources in southern New Hampshire. It is a great place to begin your research about the property and to find public information and sources of information about any areas of concern. Discovering the right home should be an exciting event. A Coldwell Banker Dinsmore Associate agent will be an important resource and will help make the process as stress free and efficient as possible. Identifying up-front what is affordable will save time and frustration in the home finding process. It is important to consider the financing options available and to begin the mortgage pre-approval process as soon as possible. From the multitude of properties currently on the market, with your input, they will select those that most closely meet your unique needs and interests. If possible, it is best to view a few homes at a time. They will schedule mutually agreeable times to look and home and neighborhoods. They will arrange showing appointments with the sellers or the brokers. If the seller or their listing broker is at the property when you are viewing the property, it would be best to limit your conversation with them and not disclose any information regarding your motivation. You will need to provide your sales professional with your thoughts so they can find the right home for you. You need to communicate your thoughts about each property you view—the positives and the negatives. Your real estate professional will continually reassess your buying criteria with the feedback you provide to them. Unless you are in a position to pay all cash for your home, you will need to obtain a home loan (mortgage) to complete the purchase. Your Coldwell Banker Dinsmore Associates agent can provide you with the names of several loan officers that they have done business with in the past. Since they are in contact with these mortgage specialists on a regular basis they know who the competent and professional practitioners are in the business. By offering you several names you can compare programs to make sure you can find the exact type of mortgage loan that meets your needs. When you're searching for a home it is important that you limit your search to homes that are within your budget. You don't want to fall in love with a house you can't afford and then begin to compare it with homes that are actually in your price range. The homes you can afford will never measure up and you'll be frustrated with the homes you viewing. It's also important to remember that there may be a big difference between the monthly mortgage expense that you can qualify for and the monthly expense you will be comfortable supporting based on your lifestyle. Also remember that there are always additional expenses beyond the mortgage payment like property taxes, property maintenance and utilities. When you meet with your lender ask to be pre-approved rather than just pre-qualified for a mortgage. A pre-qualification will tell you how much you can afford. A pre-approval goes one step further. Your lender will thoroughly evaluate your application and issue a written approval for a mortgage of a specific amount. You'll know exactly what you can afford. Having a pre-approval can make an offer to a seller more attractive and improve your negotiating position. It also can save time by accelerating the mortgage process. Since many of the mortgage requirements have already been processed you can expect a quicker closing. Being pre-approved for a loan before you submit an offer will put you in a stronger negotiating position and can save you time in the loan approval process. Take advantage of their knowledge of local banks and loan officers. They will put you in touch with several experienced loan officers at leading local mortgage companies. You loan officer will be your principal guide through the qualification and financing process. You can expect the lender to ask you for standard information regarding your income, expenses and obligation as well as order a current credit report. The original balance of money loaned. As a loan is paid over time, the principal is the remaining loan balance. Interest is the charge for the use (loan) of money. The interest rate remains constant in a Fixed Rate Mortgage. The rate can vary according to specified guidelines over the life of an Adjustable Rate Mortgage (ARM). The city or town will charge property taxes based on the assessed value of your home. Two tax installments are due each year in June and December. Property insurance provides protection against loss resulting from certain hazards, such as theft and fire. The standard policy pays replacement costs, minus depreciation based on actual cash value. You will need to obtain homeowners insurance for you own insurance agent and bring written proof of insurance to the closing. Determine the price you want to offer. The price the seller is asking may or may not reflect a realistic market value. The best way to determine market value is to have your sales professional provide you with information about comparable homes that have sold recently, that are currently under agreement and that are competing on the market. Arrange a meeting with your loan officer to explain financing options and help determine the mortgage plan that best fits your requirements. Obtain a copy of your pre-approval letter to submit with your offer. Items of personal property you want included with the house. Warranty, inspections, repairs or other home enhancements by the seller. Any contingencies affecting the purchase. Determine the amount of deposit to be held in escrow until closing. Your offer will be presented to the seller in a timely manner. The seller will have three choices: accept your offer as it is presented; reject it completely; or propose adjustments to your offer (counter offer). If there is a counter offer, you can choose whether to accept it, reject it or counter it. Once you have come to agreement to all the terms and conditions, all the parties will sign the contact. It is important to remember that in the state of New Hampshire, you do not have a valid contract until is in writing and signed by all parties. A written property disclosure statement from the seller will reveal any problems or major defects with the house or surrounding area that you need to know about. Review it carefully and question the seller if you have concerns. Make Purchase and Sales Agreement subject to appraisal. Professional inspections can reveal structural, roof, termite, presence of mold and other problems with the property. In New Hampshire you should also test for the Radon gas in the air and water. Most homes are serviced by wells so you should have a water test. A septic system inspection is also recommended. Be sure to be at the home inspection so that you can observe problems first hand and ask the inspectors questions. Ask for a copy of “Important Disclosures and Sources of Information for Prospective Purchasers of Real Estate in Southern New Hampshire” from your Coldwell Banker Dinsmore Associates, REALTORS®, sales professional. It contains information and contact numbers. You can also find great links to information sources at I-central in this site. I-central provides you with a detailed list of issues you should be aware of as a buyer of property In New Hampshire. Buyers should check all public records themselves if they have any areas of concern during the inspection contingency period. Buyers may also want to engage a professional expert to review information. Buyers should check for any zoning or building issues at the local building department themselves in order to have their questions fully answered. This also should be completed during the inspection contingency period. A walk through prior to closing will allow you to make sure that the property is in the same condition as when you originally viewed it. and is also a chance to verify that any work requested of the seller has been completed to your satisfaction. The agents at Coldwell Banker Dinsmore Associates are experienced transaction mangers. There are many details that need to be taken care of in order for a home to close within your time parameters. Normally a home in New Hampshire can close within 15 to 90 days depending on the complexity of the transaction and on how far along you are in obtaining you financing approval. Your real estate professional will explain to you in detail all the steps that will occur, and answer any questions you might have. They will work with the seller's broker to see that they fulfill their responsibilities under the contract. They will stay in touch with the mortgage processors, appraisers, Title Company, lawyers and others to coordinate their activities and help keep the transaction moving forward. Communicate with you on a regular basis so that you can stay informed and as worry free as possible. Loan funding and clear to close. While cannot tell you who to use for a title company or attorney for closing, we do recommend that in most cases you should use a New Hampshire based company or attorney. Our experience has shown that closings are usually smoother and less expensive when handled by a New Hampshire company or attorney. Many New Hampshire title companies and attorneys have what is known as “gap” insurance which allows them to deliver the seller their proceeds at closing rather than having to wait for the deed to be recorded. This allows you to be able to occupy the property sooner since possession is often granted at transfer of title. We recommend that all buyers obtain personal title insurance. The required title insurance policy only cover the mortgage holder not you. If you have a title problem the insurance policy will not cover your loss. Title problems usually show up in the future. They are most like to be revealed when you are in the middle of reselling your property and time is of the essence. At that point it is to late to obtain the coverage that could solve your title problems. You will need to bring the down payment in certified funds. You will need written evidence that you have obtained property insurance. Final Loan approval and clear to close. New Hampshire Housing is your Statewide Housing Resource! We promote, finance and support affordable housing opportunities and related services for New Hampshire families and individuals, and we serve as the primary source for housing data. The American Bar Association Guide to Home Ownership is a guide that is designed to help you understand that legal framework and answer some questions you might have. It can also help you avoid legal problems and work through problems that might arise.